Which One-Size is Your Size? Hemp - A Heavy Wetters Dream! Udder Covers will cover you where you need it and the rigid neckline still allows you to have eye contact with your baby. Their chic and stylish covers are made of 100% breathable cotton and are machine washable. The stainless steel d-rings allow you to adjust the neckline of your Udder Cover. With the Udder Cover you can breastfeed your baby in comfort, style and confidence anytime and anyplace! To enter to win your free Udder Covers for Nursing Mothers you will receive ONE entry for EACH option below (you MUST leave a comment for each option saying what you did and where). This means you can get multiple entries increasing your chance to WIN! (each "Weekly Giveaway" may be different): 1. Become a subscriber of Nicki's Diapers Blog or if you already are post it 2. Become a Fan of Nicki's Diapers Facebook page 3. Post a comment on Facebook about Nicki's Diapers including a link to any page on Nicki's Diapers 4. Follow nickisdiapers on Twitter 5. Tweet about Nicki's Diapers including a link to any page on Nicki's Diapers 6. Blog about Nicki's Diapers including a link to any page on Nicki's Diapers 7. Talk about Nicki's Diapers on a Forum including a link to any page on Nicki's Diapers COUNTS AS DOUBLE ENTRY!! 8. Grab one of our buttons and put it on your blog. 9. What is your favorite color/print. *Contest ends Dec 3rd at midnight and winners will be posted on Friday Dec 4th. Winners generated by random.org Winners must notify nicki@nickisdiapers.com within 1 week. Congrats to the winner of our 9th weekly giveaway! Heidi wins a Bumwear One Size Pocket Diaper. Please email nicki@nickisdiapers.com so we can get you your prize! Prorap Classic Diaper Covers!! This week only $6.99 with FREE SHIPPING!! All "Items of the Week" run from Wed to Wed. Wed is DOUBLE DEAL DAY!! 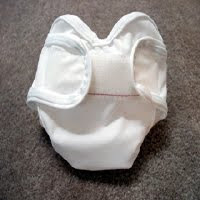 BumWear One Size Pocket Diaper are a great alternative to disposables and are fuss free and earth friendly. These diapers are a one-sized diaper that will grow with your baby through toddlerhood. From a tiny baby to toliet-training toddler, an adjustment of snaps will give you the proper size. For newborns and very young babies the front panel can be folded down to reveal another row of snaps. Folding down the front panel has the effect of "downsizing" the diaper, making it snug and comfortable for smaller babies. The BumWear One Size Pocket Diaper have an outside layer that is made of a waterproof and breathable handprinted batik while the inner layer is a buttery soft fleece that keeps your baby comfy, dry feeling, and rash free (the fleece draws the urine away from your baby's sensitive skin and into the absorbent insert placed inside the "pocket" of the diaper). The BumWear One Size Pocket Diaper are easy to clean and quick to dry! Plus their shape and design make them as easy to put on as a disposable diaper including generous gathers around the leg holes to prevent leaks and snaps instead of velcro for ease of use and tangle free laundering. BumWear One Size Pocket Diapers fit babies newborn through potty training and comes in tons of beautiful colors and prints! Inner fleece comes in fun coordinating colors for each color and print. BumWear One Size Pocket Diapers now have the option of an additional thigh snap - one snap right above each thigh! EACH DIAPER COMES WITH A FREE MICRO INSERT (YOU CHOOSE THE SIZE INSERT) AND FREE SHIPPING! To enter to win your free BumWear One Size Pocket Diaper you will receive ONE entry for EACH option below (you MUST leave a comment for each option saying what you did and where). This means you can get multiple entries increasing your chance to WIN! (each "Weekly Giveaway" may be different): 1. Become a subscriber of Nicki's Diapers Blog or if you already are post it 2. Become a Fan of Nicki's Diapers Facebook page 3. Post a comment on Facebook about Nicki's Diapers including a link to any page on Nicki's Diapers 4. Follow nickisdiapers on Twitter 5. Tweet about Nicki's Diapers including a link to any page on Nicki's Diapers 6. Blog about Nicki's Diapers including a link to any page on Nicki's Diapers 7. Talk about Nicki's Diapers on a Forum including a link to any page on Nicki's Diapers COUNTS AS DOUBLE ENTRY!! 8. Grab one of our buttons and put it on your blog. 9. What is your favorite color/print. *Contest ends Nov. 26th at midnight and winners will be posted on Friday Nov. 27th. Winners generated by random.org Winners must notify nicki@nickisdiapers.com within 1 week.